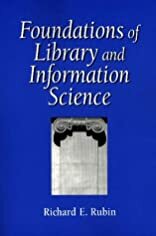 This is the revised edition of the first textbook specifically written to cover the fundamentals of library and information science programs. Designed as a highly current teaching resource, Rubin offers library and information science students and professionals the background and techniques they need to meet today's - and tomorrow's - challenges. 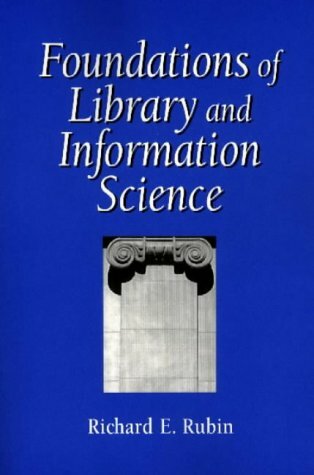 Foundations of Library and Information Science begins with a discussion of the practice of librarianship, and moves on to address the place of libraries within the broader perspective of the information superstructure, the development of information science, the growth of information technologies, information policy in libraries, intellectual organization of libraries (from classification systems to databases), the mission of libraries from past to present, and ethical aspects and principles between information providers and clients. The various types of libraries (public, academic, school, and special), their internal functions, and the major organizational issues they face are discussed. This comprehensive text contains an extensive list of selected readings. Appendixes include the Association of Research Libraries Statement on Intellectual Property; Development of the National Information Infrastructure; a bill of rights and responsibilities for electronic learners; major periodicals, indexes, encyclopedias and dictionaries in library and information science; and a listing of associations.